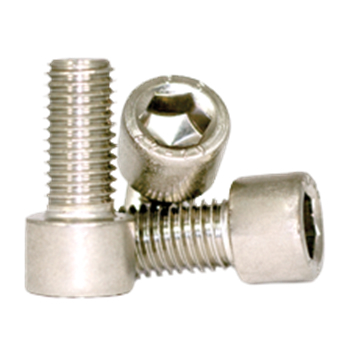 Socket Head Cap Screws are externally threaded fasteners with unified threads, a cylindrical head with a flat chamfered top surface, knurled cylindrical sides and hexagonal recess, made from alloy steel, stainless, or nylon. Socket Head Cap Screws are ideal for precision assembly work with close tolerances and applications needing a well tooled appearance. One of the advantages of alloy steel socket head cap screws is they offer a greater tensile strength than equivalent sizes of grade 5 or grade 8 hex head cap screws while requiring less surface area or counterbore since the fastener is internally wrenched.